This year's historical weekend was a tremendous success. Many people came to see our church and cemetery from near and far. Our guides were very informative and we received many surprised looks when people realized that we have had an ongoing congregation and regular services and events since 1692! We hope to see many of you at any time to see our beautiful church and to learn how it has contributed to our nation's heritage throughout the years. Join us for Sunday service! All are welcome! Old Tennent Church will be one of the historical sites open to the public for The Monmouth County Historical Weekend on May 5th and 6th, 2018. Tours will be given in our 18th century Sanctuary on Saturday from 10:00 am to 5:00 pm and on Sunday from 12:00 pm to 5:00 pm. 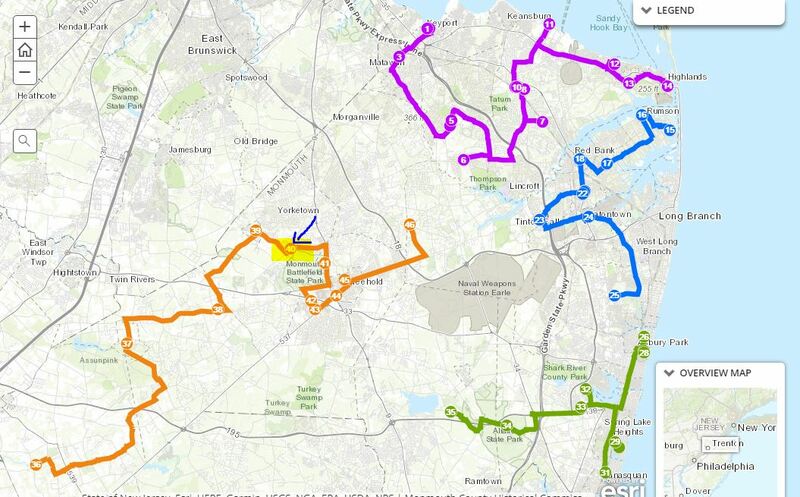 Taken from the Monmouth County website, this is an overview of the different trails and sites you can visit during the weekend. We are on the "Orange Trail", Site Number 40. Visit the Monmouth County interactive map!